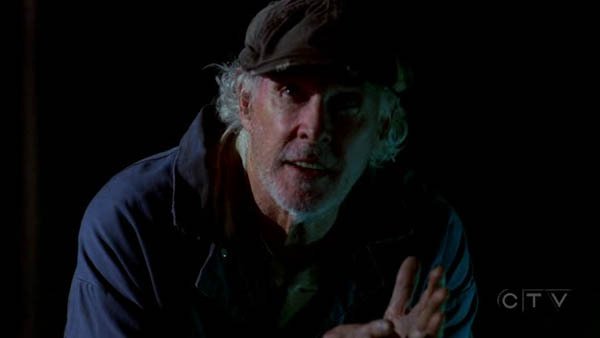 Opens with Bruce Dern telling spooky stories and being attacked by a zombie. Lots of sudden zooms into wounds. The CSI team’s job and hi-tech equipment look fun. 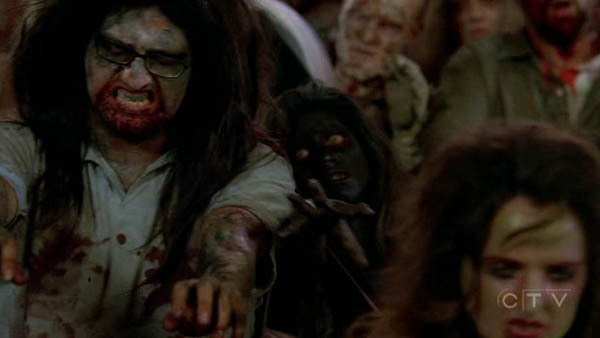 There’s a zombie walk, or “zombie flash mob”. I am very disappointed that there was no unexplained supernatural activity in this episode. Guy fakes his own death for insurance, only to be whacked by his wife with a cricket bat after crawling out of the coffin. And family murder/suicide turns out to be just murder, ex-resident returned to the house + whacked ’em all.